ISMT manufactures the entire spectrum of seamless tubes required by the power generation and energy industries. Our tubes are used in manufacturing boilers, heat exchangers, super-heaters, heat recovery, steam generators and other heat transfer devices. All ISMT tubes embody over 20 years of experience in the manufacture of application specific tubes for the power generation industry. We melt all our steel in-house and our tubes are manufactured to the most stringent industry standards. Our research and product development teams have worked closely with our customers to develop a very wide range of products. 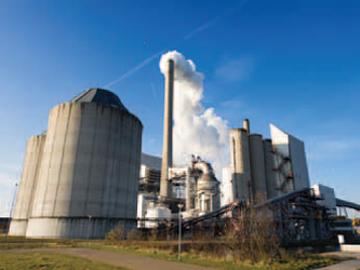 With extensive years of experience in supplying tubes to the power generation sector, we are fully aware of the criticality of these tubes. Therefore, we manufacture all our steel in-house through the electric arc furnace route maintaining complete control of the entire production process. The raw material mix is chosen and prepared carefully to ensure the highest standards of cleanliness. All heats are fully killed, ladle refined and vacuum degassed before continuous casting and rolling. Right through the production process, we maintain full traceability of the material and a record of the tightly controlled process parameters. This ultra-clean steel forms the starting point for the manufacture of our seamless tubes. Stringent process control continues through the tube rolling as well as final heat treatment process so that we are able to deliver tubes with smooth ID quality, uniform grain structure, and excellent straightness. The manufacture of precision seamless tubes is as much a matter of equipment as it is of experience and process technology. We believe in investing in the finest of equipment. For manufacturing seamless tubes, we operate three Assel Mills and a brand new PQF Mill. We also have a number of cold draw benches for producing cold draw tubes. Our tube-mills are from Shloemann Mannesman in Germany and incorporate the best technology. The state-of-art equipment is backed by an operating team that is amongst the most technically qualified anywhere in the world – the tubes that we produce for the power generation and energy industries reflect this experience. 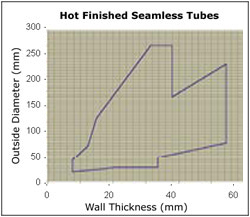 ISMT has developed special multi-rifled tubes that defeat the formation of steam films on the inside surface of the tube thus increasing heat transfer efficiency. These tubes are produced through a special cold drawing process ensuring tight tolerances on the rifle bore. 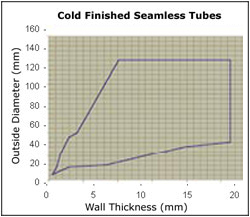 We can supply both cold-drawn as well as hot-finished tubes upto 23.5 mm in length. The use of such tubes reduces the number of weld joints, thereby saving costs and increasing productivity. ISMT is one of the few companies in the world to manufacture special creep resistant, alloy steel tubes (such as T91, T92, T23 etc.) for uninterrupted high temperature service (upto 625º C, 1155º F). The manufacture of such steels, as well as the manufacture of tubes made from these steels requires a tremendously high degree of discipline and stability in the manufacturing processes. We manufacture header pipes upto 273 mm OD (10 3/4 inches). These tubes are produced with special attention to straightness to enable ease of welding. We can supply tubes with straightness levels of 1 in 6000. All our tubes are tested as per customer requirements. Our testing facilities include full-body Ultrasonic, Eddy Current, Leakage-Flux and Hydro-testing. ISMT is unique in that we operate to a weekly manufacturing cycle; we can go from scrap to finished tubes of any size or grade, ready for dispatch, in less than 15 days. As a result, we offer the tightest delivery lead times in the industry.